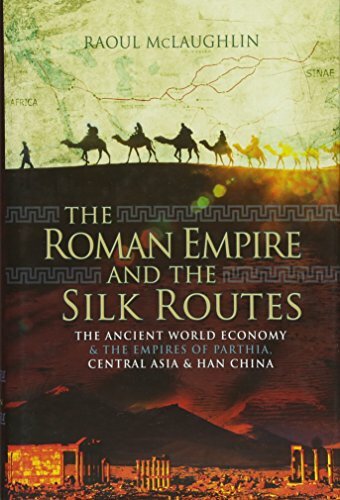 [PDF] The Roman Empire and the Silk Routes: The Ancient World Economy and the Empires of Parthia, Central Asia and Han China | Free eBooks Download - EBOOKEE! Description: The Roman Empire and the Silk Routes investigates the trade routes between Rome and the powerful empires of inner Asia, including the Parthian regime which ruled ancient Persia (Iran). It explores Roman dealings with the Kushan Empire which seized power in Bactria (Afghanistan) and laid claim to the Indus Kingdoms. Further chapters examine the development of Palmyra as a leading caravan city on the edge of Roman Syria and consider trade ventures through the Tarim territories that led Roman merchants to Han China. The Han Empire of ancient China matched that of Rome in scale and possessed military technology surpassing that of Roman legions. The Han established a system of Central Asian trade routes known as the Silk Road that carried eastern products as far as Persia and the frontiers of the Roman Empire. This is the first book to address these subjects in a single comprehensive study. It explores Romeâ€™s impact on the ancient world economy and reveals what the Chinese and Romans knew about their rival Empires. 2011-11-05Leif E. Vaage, "Religious Rivalries in the Early Roman Empire and the Rise of Christianity"
No comments for "[PDF] The Roman Empire and the Silk Routes: The Ancient World Economy and the Empires of Parthia, Central Asia and Han China".